If you have been following this blog closely, you might have guessed that French is my favourite cuisine. 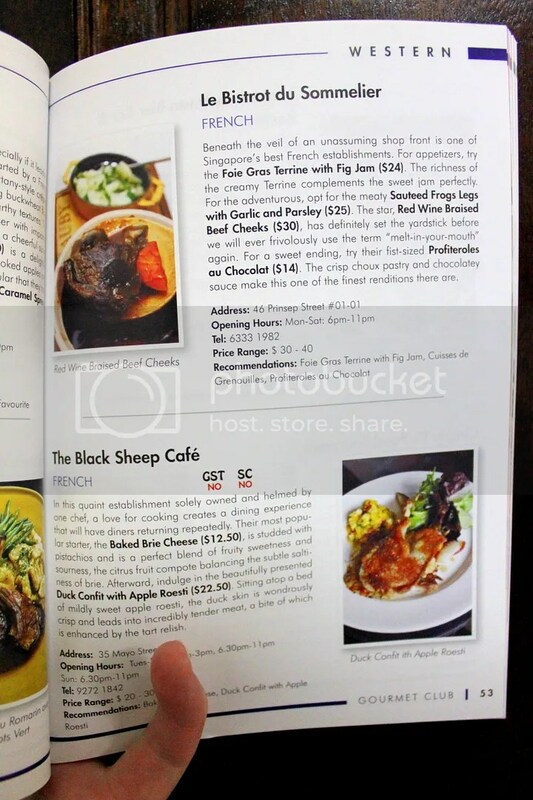 There’s really no lack of good French food in Singapore, ranging from the budget “coffee-shop” no-frills French eateries like Le Cuisson (Awesome Chicken Roulade) and Saveur (which I have not gotten down to try), to the entry level bistro fare like the highly popular Black Sheep Cafe and La Petite Cuisine, the middle-end restaurants like Bistro Du Vin and Ember Restaurant and finally the fine-dining scene starring the likes of Gunthers and Les Amis. 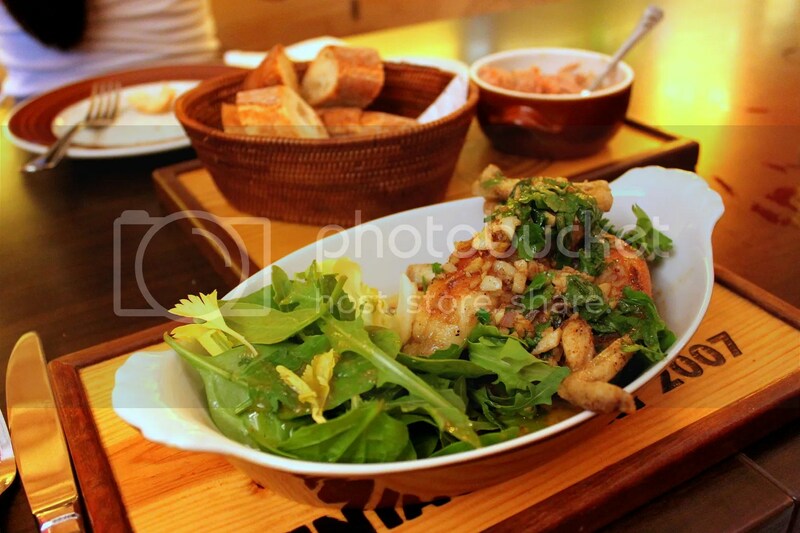 Recently however, 2 French eateries have opened / relocated that I believe is worth mention. 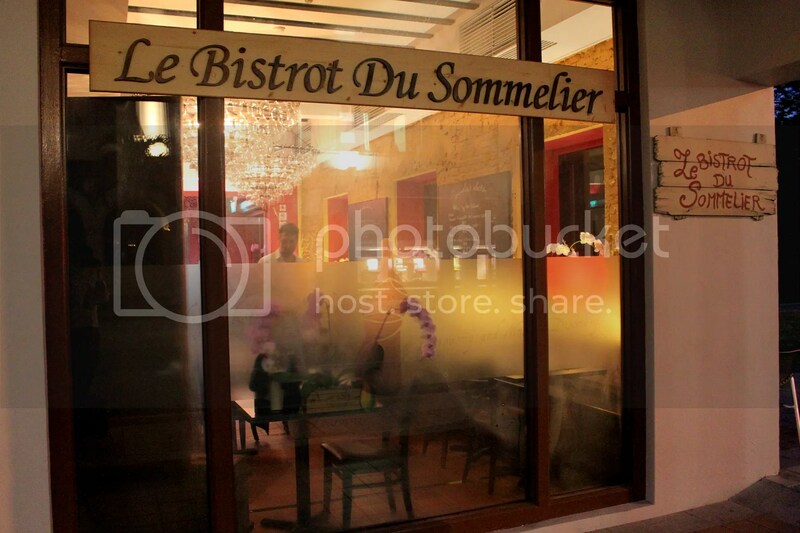 First off is La Maison Fatien, a middle-end bistro located in the heart of Tanjong Pagar. The mains there are incredibly affordable within the $20+ range, though the inclusion of a pan-seared foie gras for appetizer and chocolate fondant for dessert will set one back by about $70 after taxes, which is still quite affordable in my book for French food of the given quality. The service is warm and professional as well. The wait staff who served my party was a charming Frenchman who knew his food well, providing us with lots of suggestions and answering our queries effortlessly. 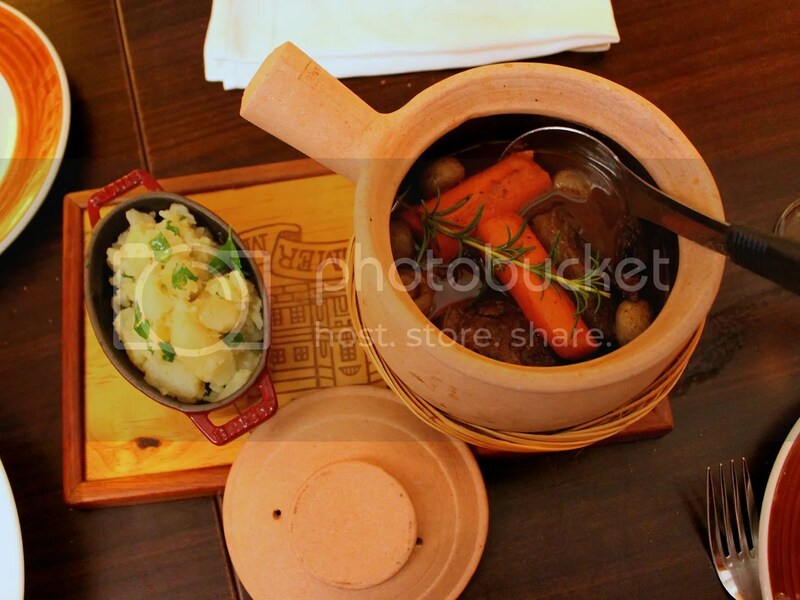 And to add icing to the cake, the restaurant boasts a rustic setting that adds a sense of authenticity to the meal. I will definitely be making a return visit in the next month or so and do a more detailed write up but just wanted to mention it first because it’s freaking awesome, so do pay a visit if you are around the area. But enough of stealing the limelight from the main topic of discussion for today, the relocation of Le Bistrot du Sommelier from Prinsep Place to 53 Armenien Street (opposite SMU School of Law & Accountancy), taking over the premises from the highly acclaimed restaurant FiftyThree which specializes in molecular gastronomy. 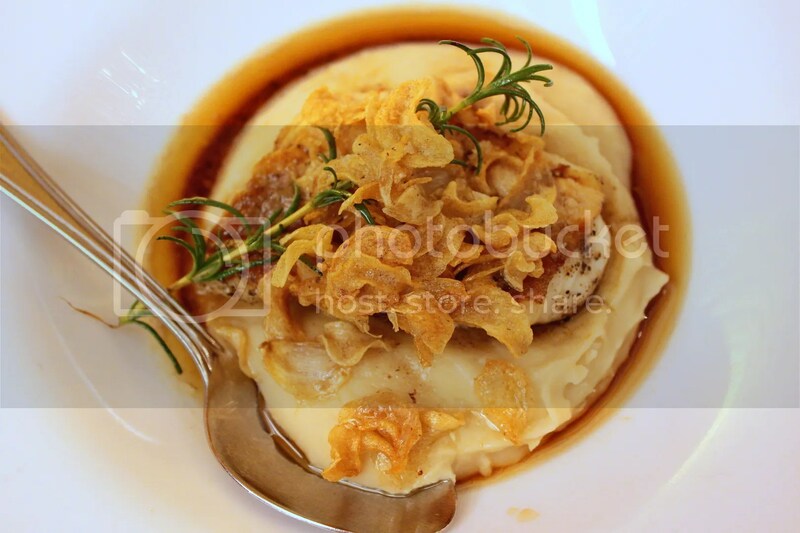 FiftyThree has since shifted over to 42 Tras Street in the Tanjong Pagar area (source: Hungry Epicurean). It’s quite a coincidence but just last summer, I penned a short writeup on Le Bistrot du Sommelier for SMU Gourmet Club’s summer publication entitled “Urban Relish”, a food guide to central district dining. On my previous visit, I was blown away by the repertoire of dishes that was served and given that good friend CW was due to fly off the coming week for her Goldman Sachs IB position in London, I figured it was time to bring out the big guns to ensure she had an awesome experience since she might not get to see the light of day much in her new job. Despite only being in its 2nd week of operation at its new premises, reservations are already a must to secure a seat as it was full house on this Monday night. I usually avoid Pates and Rillettes because I have had a few bad experiences where they turned out too gamey and pungent for me. 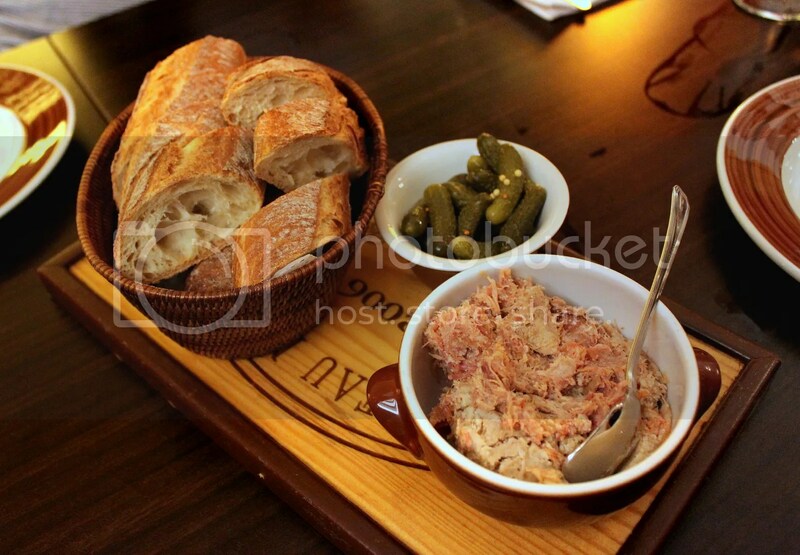 However, I’m thankful that I took the wait staff’s advice to have the Pork Rillette ($13.50++) as it tasted really fresh. Savoury with a nice density of fat and tasting like very fatty mashed ham, I could have happily had this dish alone for lunch. 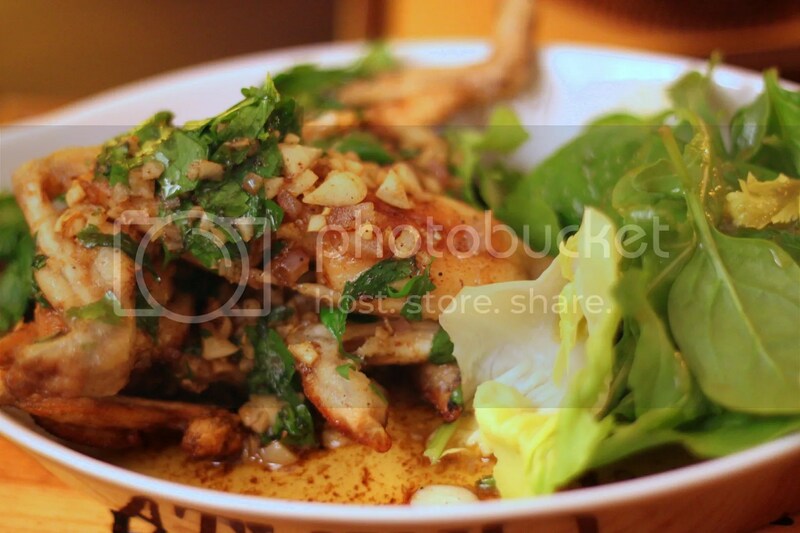 For something more unique, try the Sauteed Frog Legs with Garlic & Parsley ($26++). 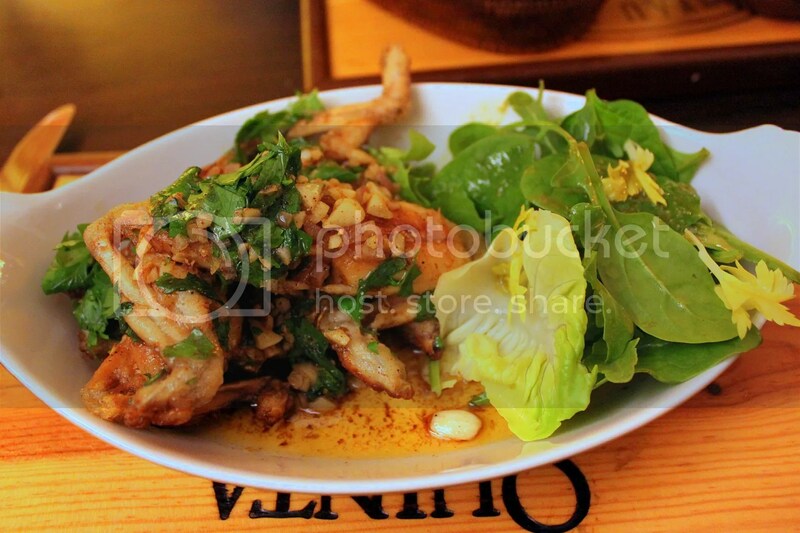 Instead of the the usual steaming or braising more commonly witnessed, having the frog legs sauteed was a nice change. With a thin crisp exterior and chewy texture, it reminded me much of chicken wings. I especially loved the garlicky flavours which had seeped into the residual oil, which I mopped up using the bread from the Pork Rillette dish. The Catch of the Day was Gurnard Fish ($30++), something that I am totally unfamiliar with. 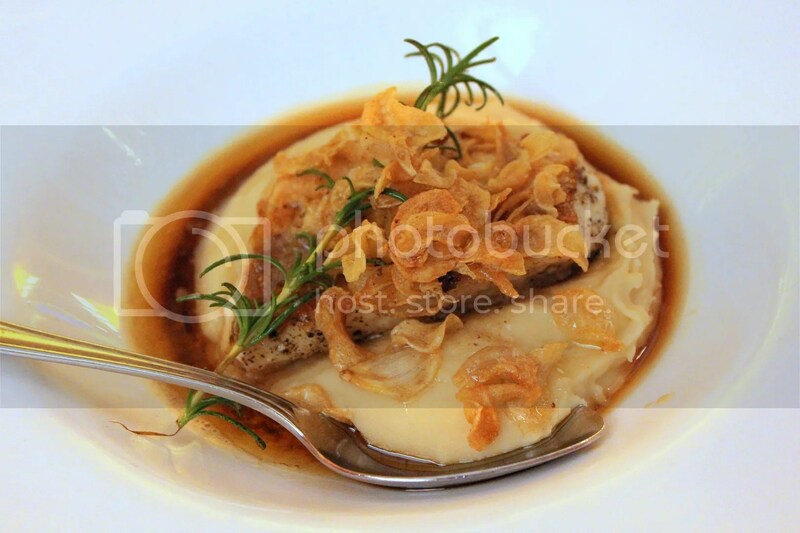 Topped with crisp slices of fried garlic over a bed of very smooth but heavy mash, this particular fish meat had a very nice firm texture rather similar to Threadfin. 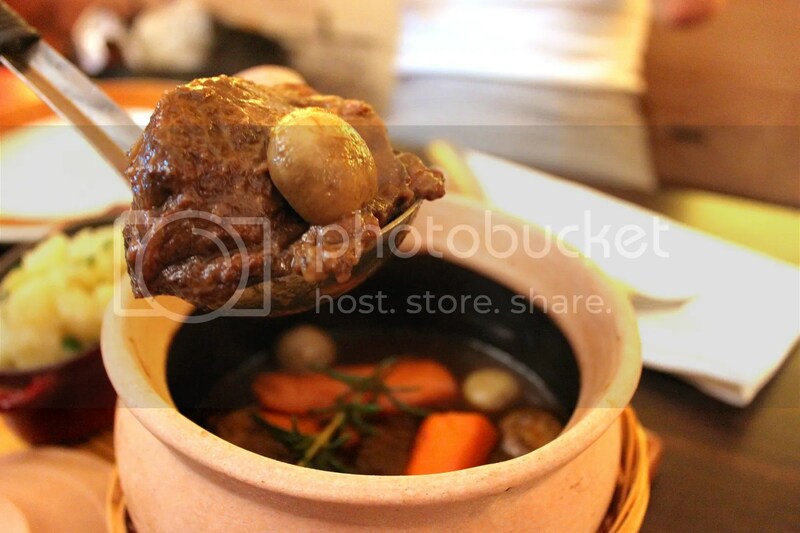 The Joue de Boeuf aka Braised Beef Cheeks ($30++) served here is one of the best renditions I have tried in Singapore. As I mentioned in the write-up I did earlier on Le Bistrot du Sommelier, their beef cheeks definitely set the yardstick before one should dare use the words melt-in -you-mouth ever so frivolously, plus it’s a steal at this price! 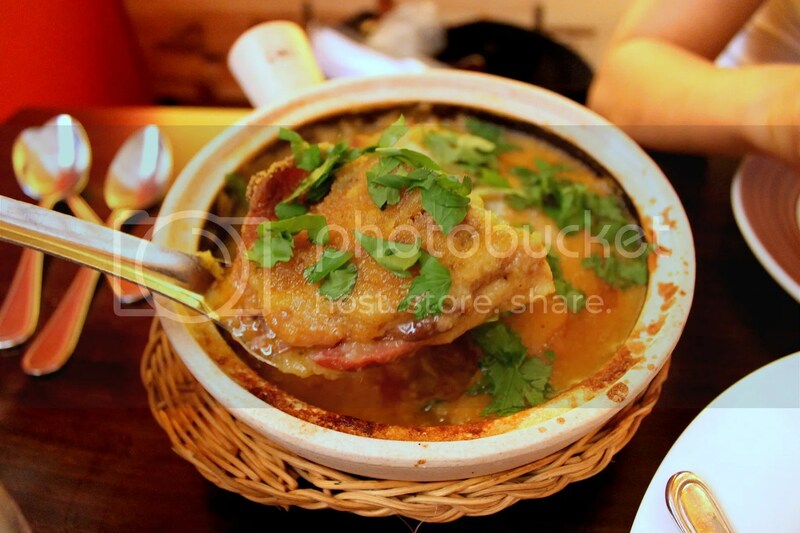 While the generic Fried Duck Leg Confit is available on the menu at $28++, you can choose to order the French Duck Leg Confit Cassoulet Style as we did. 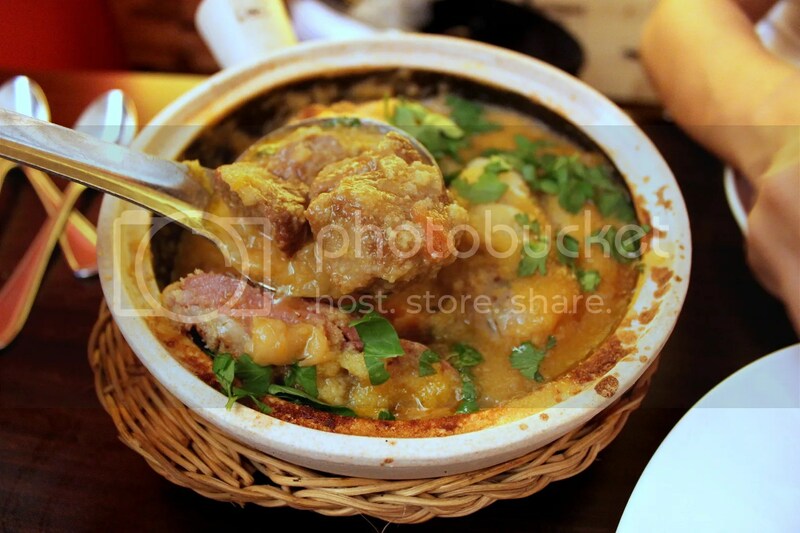 It comes as a stew with a variety of other meats such as Steaky Bacon, Pork Sausage & Lamb Shoulder Baked in White Beans ($34++). Surprisingly, what we found best in this dish was not the duck but the Pork Belly (I’m guessing it’s the steaky bacon), which was as a 5cm x 5cm x 5cm cube. Do NOT attempt finishing this dish by yourself though as the portion is unimaginably generous. 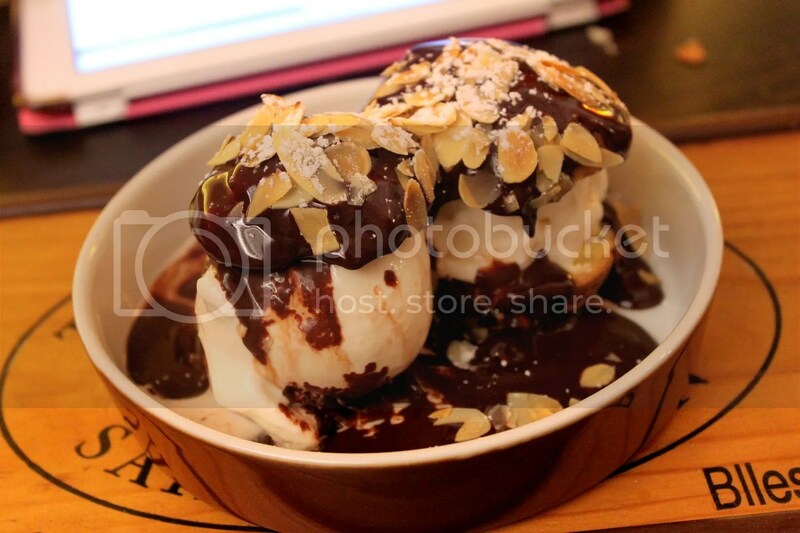 Although we were stuffed, desserts occupy a different part of the stomach or so the saying goes. We settled on the Profiteroles au Chocolat aka Choux buns filled with Vanilla Ice Cream in Warm Chocolate Sauce topped with Sliced Almonds ($14++) after much deliberation and were pleased with our choice as we sunk our teeths into the pair of plus-sized profiteroles drenched in a luscious layer of chocolate sauce. 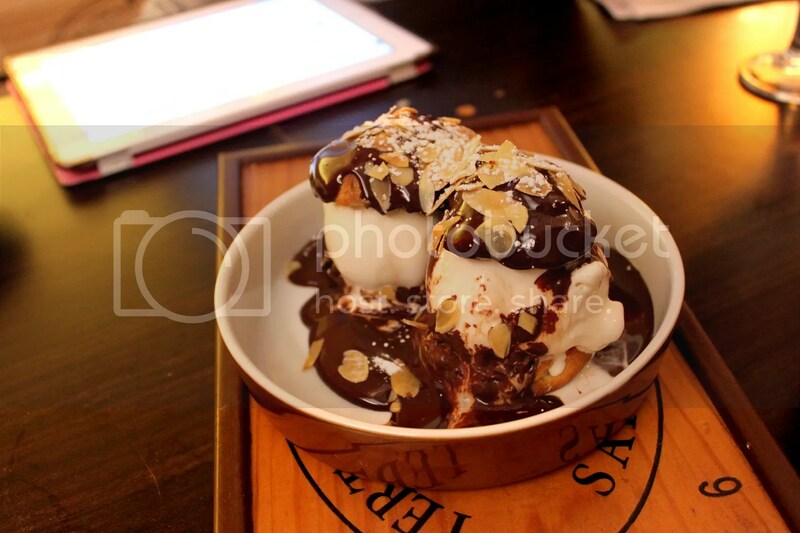 It’s easily the best profiteroles I have had, with a sizable portion suitable for 2 to 3 people to share. Paying under $60/pax for French food of this class, I really felt like I had shortchanged the restaurant when the bill arrived. It’s definitely one of my favourite meals this year and for the upcoming SMU semester, I foresee myself to be well-fed. On the next visit, call in advance and reserve the cote de boeuf. It takes a day to get the steak ready. It’s the specialty of the restaurant, very, very brilliant. I took a cooking class under the chef before. He was so charismatic, all the taitais were swooning over him. And he has substance too. I can pass you the recipes if you want. But the cooking school where he was conducting the class has very bad management. I wouldn’t recommend it. I enjoy this write-up very much!